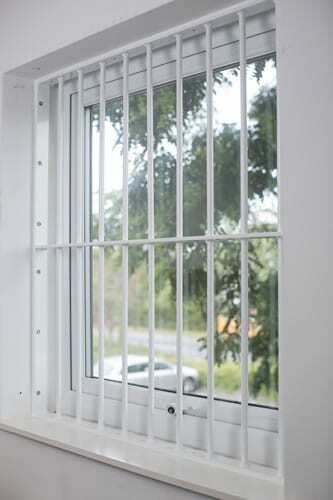 Our Premium Fixed Window Bars are traditional, high protection window security solutions. 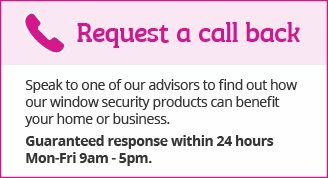 They can be fitted internally or externally, horizontally or vertically and will provide a strong, durable deterrent to would-be thieves. 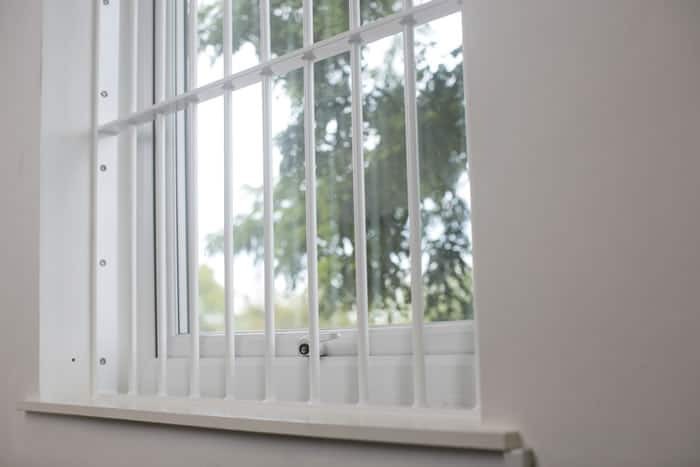 Unlike similar products on the market, our Fixed Window bars are made from solid steel instead of cheaply-made hollow steel to provide a higher level of security. 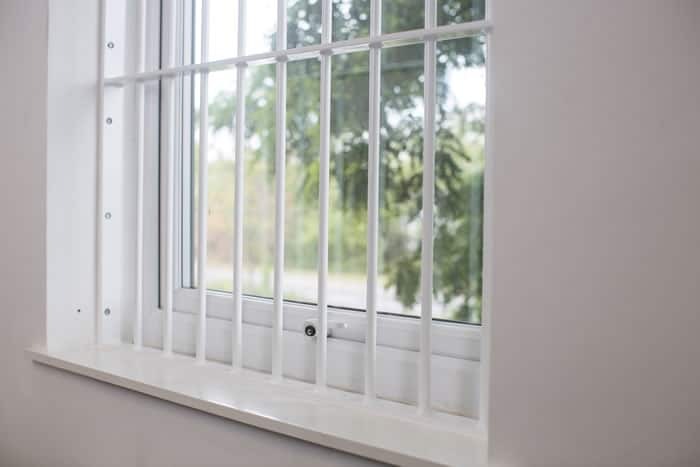 Our Fixed Window Bars are fully welded and spaced at 125mm centre to centre, with horizontal tie bars at 450mm intervals, providing the best possible strength. They are available in white as standard, or can be powder coated in a range of other colours if required. 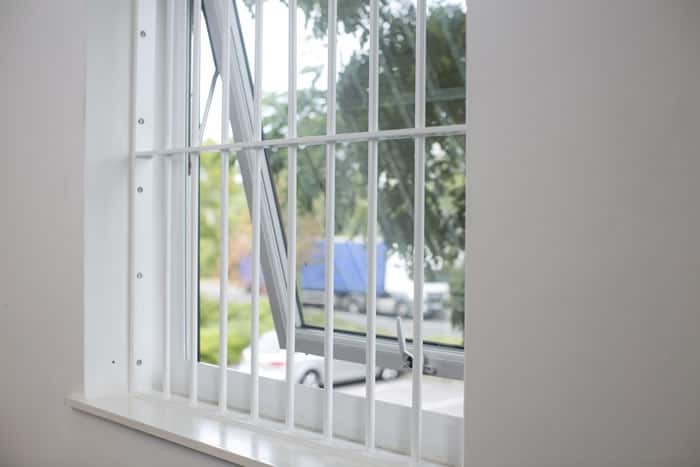 How do Fixed Window Bars work? 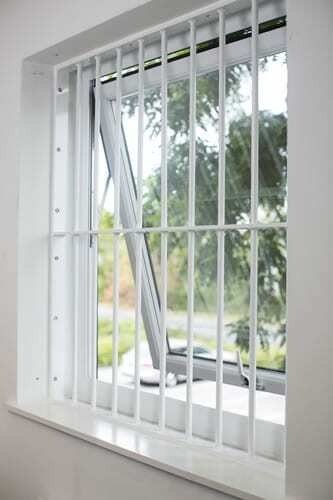 When fitted internally, the windows can still be opened, allowing ventilation without compromising on security. 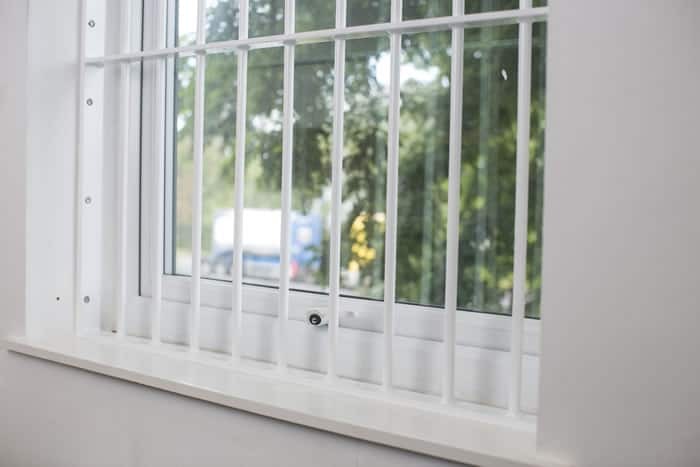 When externally fitted, it reduces the risk of window breakage and vandalism. 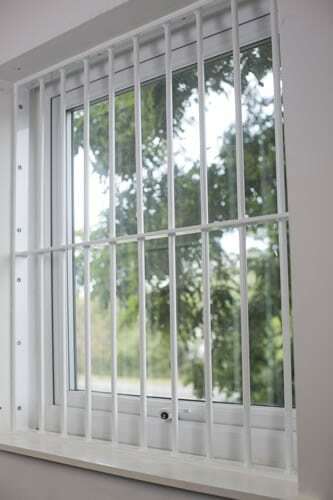 In both instances, the appearance of Fixed Window Bars provides an instant deterrent to potential vandals or thieves. 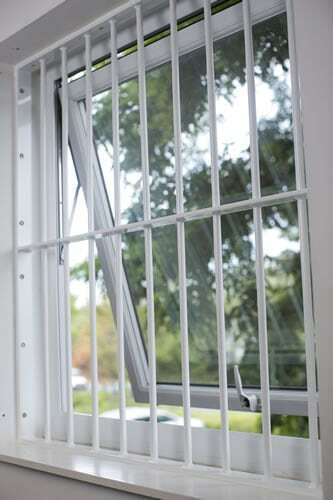 The window bars are designed to fit as close as possible to the window frame, which will avoid any cavity for dust and dirt to collect it.